1. To hope or to work towards a profession or an occupation: Jason is aspiring to become a journalist so he is taking related university courses and working for a local newspaper as an apprentice. 2. 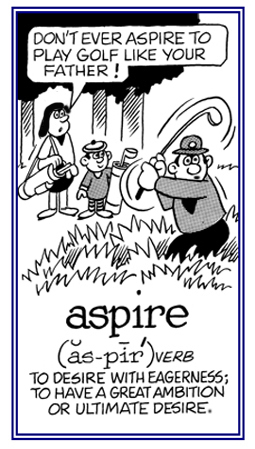 Etymology: from late Middle English and French aspirer; or Latin aspirare, from ad, "to" + spirare, "to breathe". © ALL rights are reserved. 1. 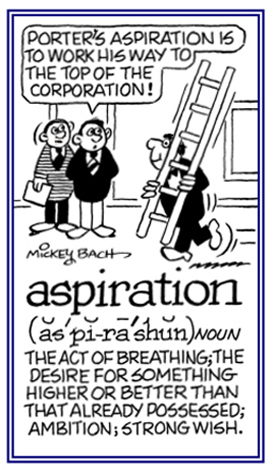 A description of someone having a great ambition or an ultimate goal; desiring strongly. 2. A reference to those striving toward an end; such as, aspiring to great knowledge. 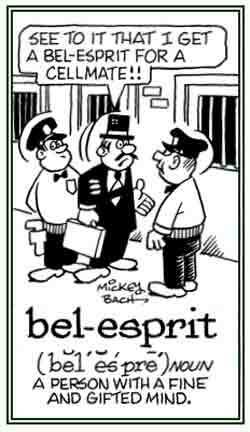 An intelligent, witty, and cultured person: The librarian was always glad when he had a chance to talk with the woman who was so friendly and a special bel esprit. © ALL rights are reserved. 1. A secret agreement between two or more people to perform an unlawful act: The brothers were accused of being involved in a conspiracy to rob the local bank. The assassination of Julius Caesar was the result of a conspiracy by approximately forty Roman senators led by Gaius Cassius Longinus and Marcus Junius Brutus. In order to obtain a lot of money, the two employees agreed to a conspiracy to defraud the bank of millions of dollars. 2. 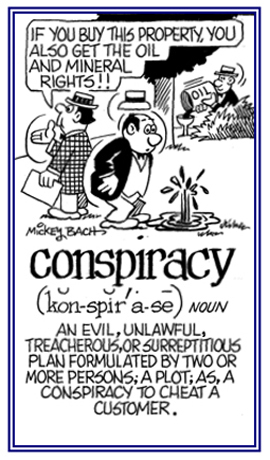 A secret plan, a plot, or an agreement to carry out an illegal or harmful act; especially, with a political objective: A group of students planned a conspiracy to get rid of the mayor of the local community because they considered him to be too corrupt. © ALL rights are reserved. 1. A joint effort directed toward a goal, an objective, or a purpose. 2. A joint action of working in secret to obtain some goal, or objective, or to achieve some outcome. Showing page 1 out of 7 pages of 91 main-word entries or main-word-entry groups.